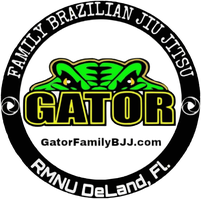 A Strategy For Results - Gator Family Brazilian Jiu-Jitsu, DeLand Fl. 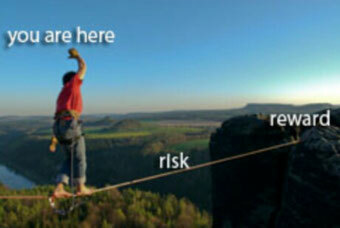 Without risk there is no reward! Stepping outside of our comfort zone can be intimidating to say the least. Many of us won’t take on that risk for fear of rejection or failure. Fear can be immobilizing and also have devastating physical effects on the body. The fact is, we can accept the status quo and can keep doing the same things over and over and keep getting the same results. Self-sabotage is one of the main culprits for not achieving what we want. All too often we worry about things that eventually will never even happen. We make up things in our minds of all of the negative things that may occur when we need to be adding all of the positive outcomes as well. Calculated risks can be much more manageable when we use a strategy. Try not to think of an outcome as either a win or a loss, or failure or success. Let’s try to think of an outcome as a result. Results are measurable. We can learn from results. When a trained fighter enters a ring there are three possible results. Win, lose, or draw. Of course every fighter wants to win. Regardless of the outcome, he or she is better than they were the day before because they took a risk and achieved a result. A temporary set back should not deter you from reaching your goals. if Colonel Sanders had given up after a few hundred no’s we would have not had the opportunity to enjoy his delicious chicken today. If Walt Disney had taken his editors advice at his first job saying he “had no imagination” the world would be a lot different today. If you are passionate about something, go ahead and take a calculated risk. Learn from the following results and be persistent. Give yourself a P.E.P. talk occasionally. Take persistent action and watch your possibilities start to explode. Martial Arts have helped me reach and exceed many goals. Brazilian Jiu-Jitsu is an amazing self defense system and sport. fill out the form and I will contact you to schedule your free trial!